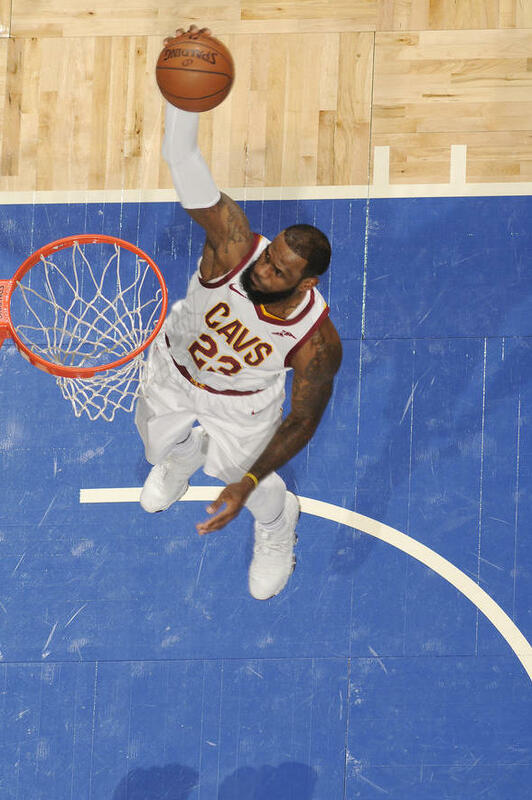 LeBron James finished with 33 points, 10 rebounds, nine assists and six steals in this his 1,100th career regular season game, and with four 3s passed Tim Hardaway (1,542 3s) for 23rd all time in career 3s. 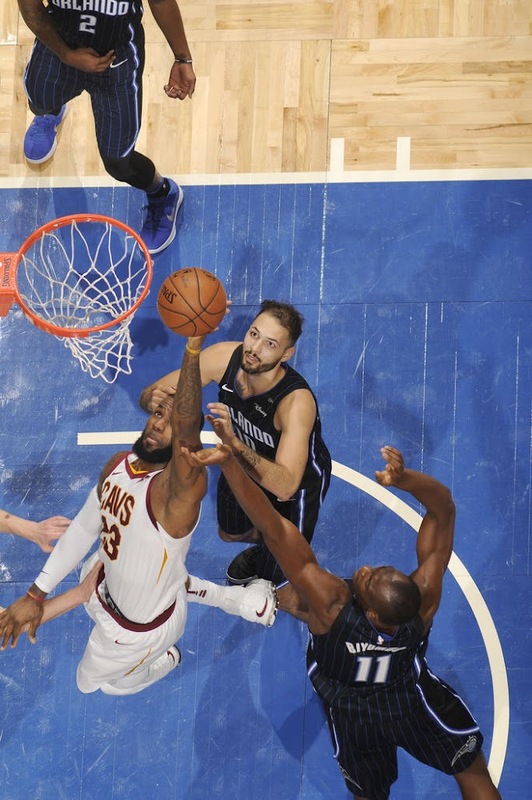 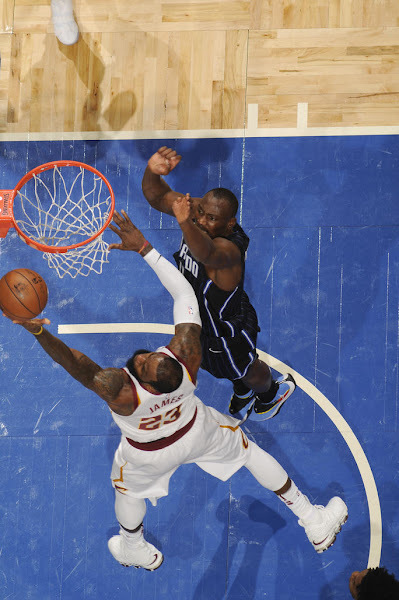 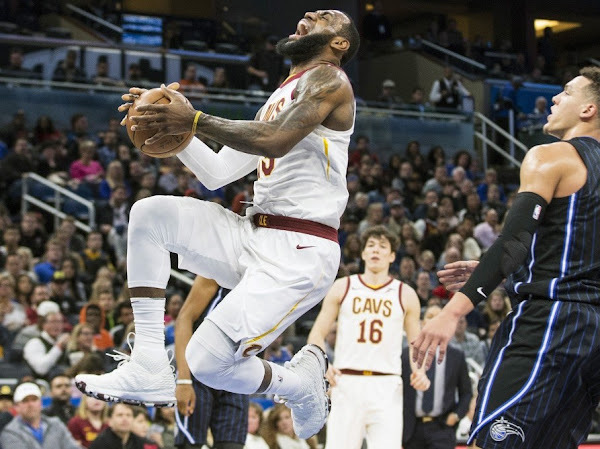 More importantly the Cavs won with Magic 131-127. 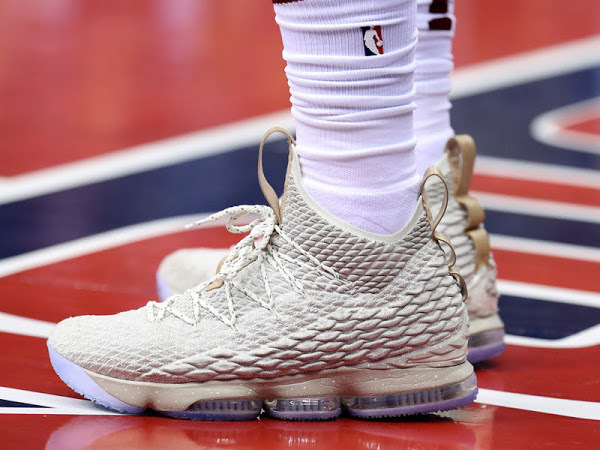 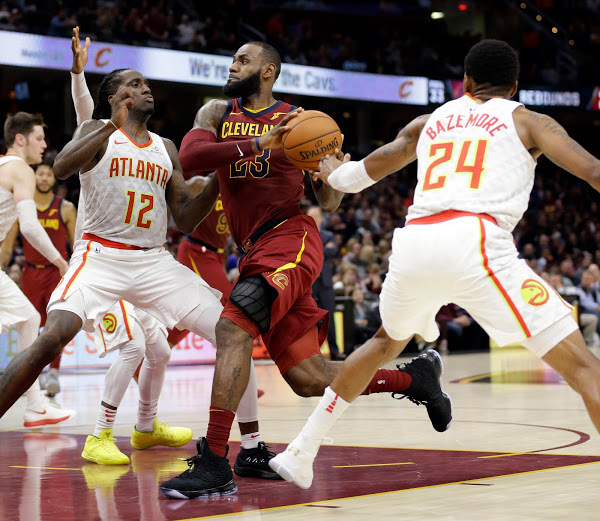 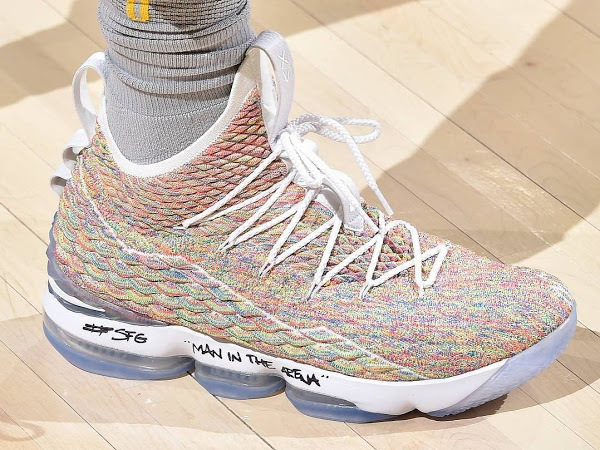 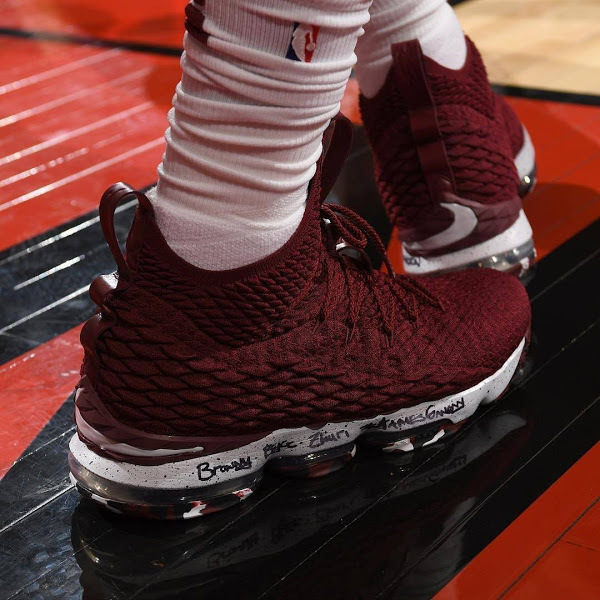 James, who keeps debuting new shoes in pretty much every game, laced up the Nike LeBron 15 in a White make up with what appears to be a Cavs themed outsole in Camouflage pattern. 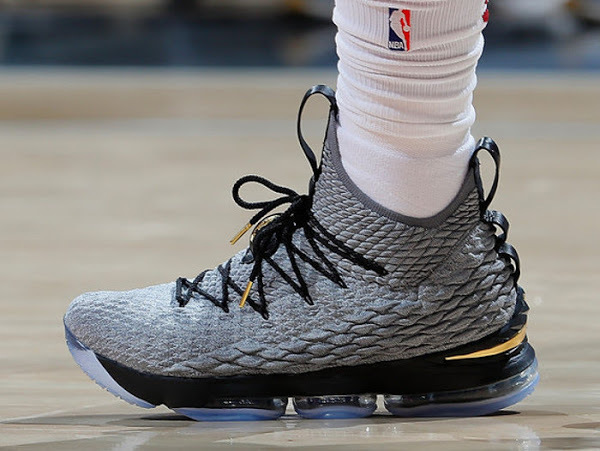 More importantly, he wore the XVs in three games straight without changing the kicks in-game. 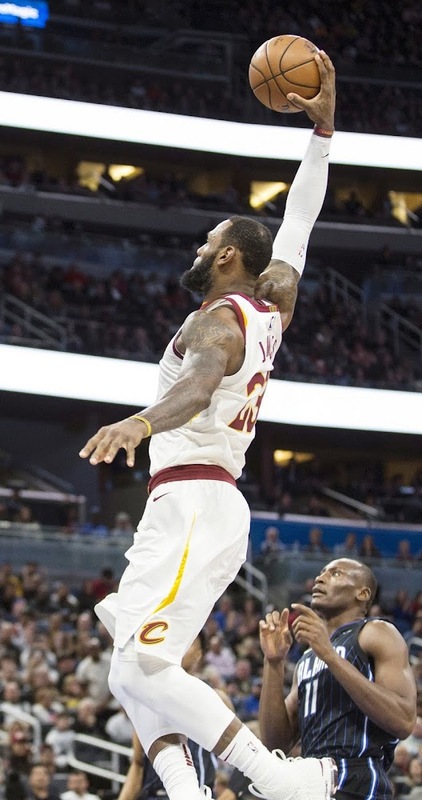 Maybe he’s finally found his fit for 2018.